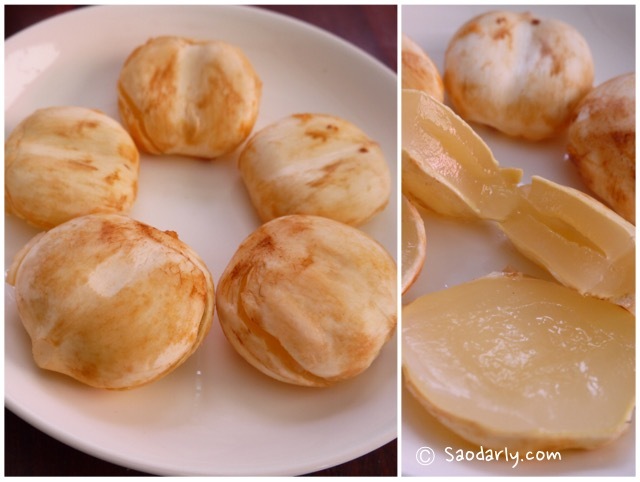 Afternoon snack in vientiane, Laos with Sugar Palm Fruit or Mak Thahn ( ໝາກຕານ,ຫມາກຕານ ) in Lao language, ลูกตาล in Thai language. We were on our way to visit relatives in the outskirt of Vientiane and saw a family selling the fruits along the road. I asked my uncle who was driving the car to make a stop so we can buy a few bags of the delicious fruit and to take some pictures and video clip of the cutting of the fruit to get the seed. I have never seen the sugar palm fruit for sale at the market in Vientiane in recent years. 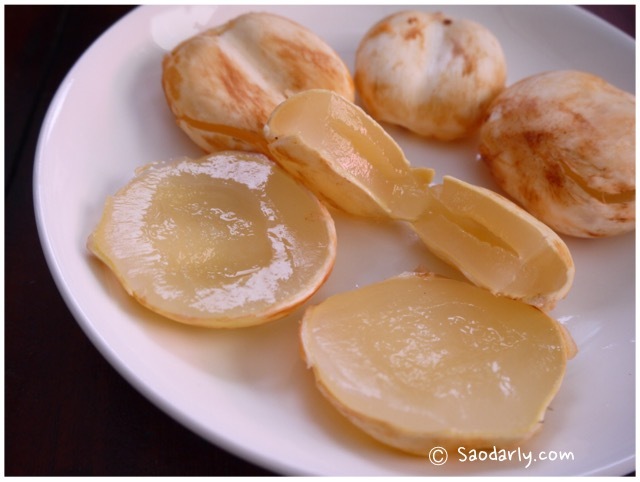 This fruit is easily found at Dao Heuang Market in Pakse, Laos. It’s one of my father’s favorite fruit. 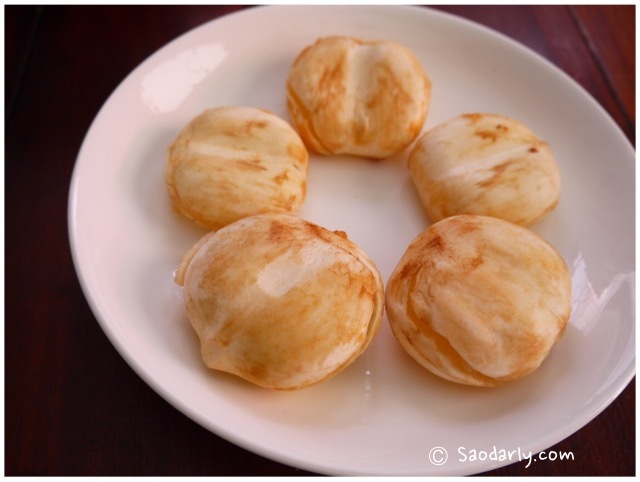 He would only visit Laos when the sugar palm fruit is in season so he can eat it on a daily basis.